Forget Zumba eat Chocolate and an Apple! Dark chocolate that is. Good, organic, high cocoa content, raw if possible, dark chocolate. But did you know that according to Dr. Joseph Mercola, MD, that recent science also shows resveratrol is an exercise mimic and produces similar benefits as exercise to the mitochondria? Whoa! And according to a paper published in the journal of Oxidative Medicine and Cellular Longevity, “Cocoa contains about 380 known chemicals, 10 of which are psychoactive compounds…Cocoa has more phenolics and higher antioxidant capacity than green tea, black tea, or red wine…These phenolics from cocoa may protect against diseases in which oxidative stress is implicated as a casual or contributing factor, such as cancer.” Whoa!! Ok…so what does this all mean…it means premium, high cocoa content, organic , raw dark chocolate, with no or very low sugar content preferrably natural sugar has many health benefits. Our family is partial to the Pacari brand Premium and Organic Ecuadorian Arriba Dark Chocolate…especially the Pacari 100% Dark Chocolate which has an OUT OF THIS WORLD flavor, is smooth and luscious, and with no bitterness. You will not believe it does not contain any sugar. It simply is AMAZING! And for those who want a touch of sugar Pacari also has an 85% Dark Chocolate made with organic coconut sugar. Great for you, can benefit your heart, blood vessels, brain, nervous system, and help combat other conditions rooted in inflammation…that is amazing chocolate! But, “what about the apples” you ask? “What do they have to do with anything?” Check out Dr. Mercola’s full article to find out. Keeping it healthy here for you at The Natural Health Advocates! 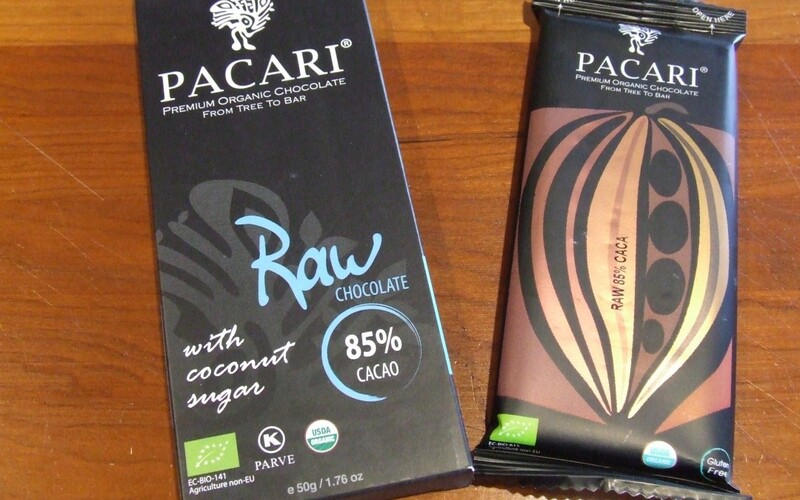 Pacari 100% and 85% Premium & Organic Dark Chocolate are in stock and ready to ship! Last Day of June 2016! The Ultimate Snack- Free Sample With Order!